(14 mins) In this episode, Hackie Reitman, MD. continues his conversation with Jess Thom. Jess was diagnosed with Tourette’s syndrome at the age of 20, and is the co-founder of Touretteshero, as well as an artist, playworker, fundraiser. Jess tells her about her close friendship with Touretteshero, her history in the theater, and how Tourette’s syndrome opened up a new doorway to expression for her. Part one of her interview can be seen here. 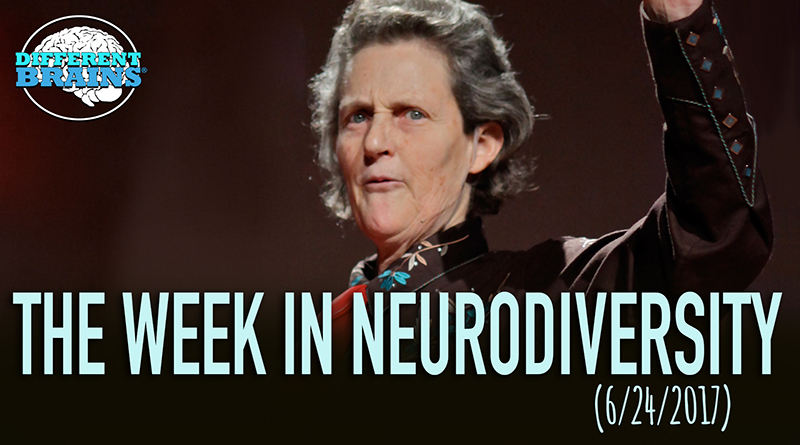 Editor’s Note: Our guest this week, Jessica Thom, has Tourette’s syndrome. One symptom of this condition are vocal tics, which involves saying words repeatedly that do not apply to the conversation. We have included the tics in our transcription below to ensure we do justice to accurately portraying this example of neurodiversity. HACKIE REITMAN, M.D. 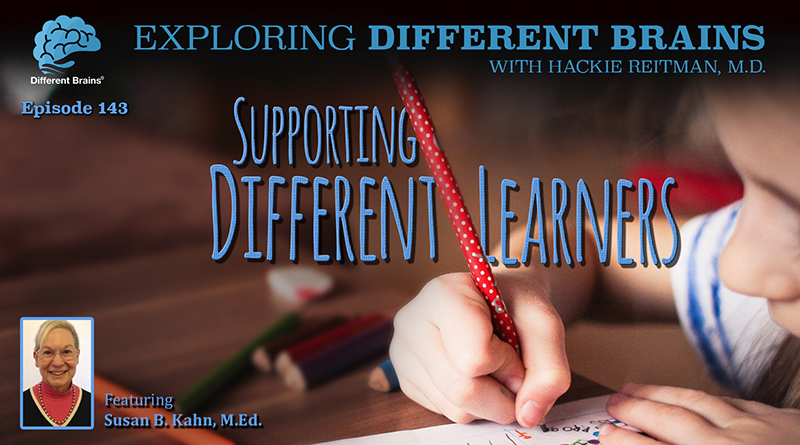 (HR): Hi, I’m Dr. Hackie Reitman and welcome to another episode of Exploring Different Brains. And we’re visiting again with my new friend, Jessica Thom. And Jessica Thom is across in England. And she’s gonna tell us all about her journey with Tourette’s, her Backstage in Biscuit Land production, and what it’s been like for her. Also, for the very first time on Different Brains, we’re meeting someone who is best friends with a real super hero, Touretteshero! Jessica, welcome to Exploring Different brains! JESS THOM (JT): Thank you! Thank you very much for having me. Biscuit, hedgehog, cats. HR: Great for you to be here. I have never in my life meet someone who is personal friends with a superhero. JT: Biscuit. I’m Biscuit. I feel very lucky to have meet lots of different people that have their different types of power. Biscuit and Biscuit. And yet Touretteshero as a superhero and is one of those. HR: Well, that’s very interesting. Now, you helped coordinate a large play project in South London. Can you tell us about that? JT: Biscuit yes. I’m an artist and a play worker. So for the last few decades almost, I’ve been working in Adventure Play in London, so that’s an inclusive play so a disabled and non-disabled children creating a magical, playful environment for them to explore and grow and learn and develop and making sure that playful opportunities are accessible in so many diverse range of children and young people. Biscuit. And more recently, my focus has obviously been on creating play opportunities and creative events through Touretteshero as an organization. Biscuit. HR: When I was a little boy, I used to watch Lois Lane on TV with the Superman series. And she was best friends with Superman. Tell us about the Superhero who you’re friends with. JT: So I’m friends with Touretteshero. 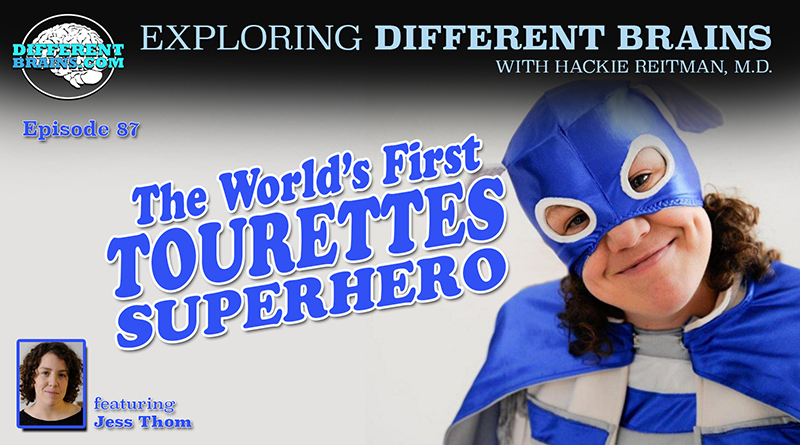 Who’s the world’s first fully-fledged, Tourette’s superhero. Biscuit–biscuit. And Touretteshero’s power is making people laugh, is celebrating different. And she campaigned to change the world, one tic at a time. And she does that by working with a lot of other people with Tourette’s and with neurological differences and campaigning for social justice, and a better understanding of difference, and to help people feel confidently about it. Biscuit. Cats. HR: So you’ve been friends with Tourette’s hero for a long time, huh? JT: Yes, well–biscuit–yeah, quite a while. Biscuits. Almost seven years now. So since Touretteshero first arrived on the Superhero scene–biscuit, hedgehog, biscuit–uh–biscuit, biscuit, hedgehog, biscuit–I used to find it difficult to understand Tourette’s as powerful and to see the value of my tics. I used to find it really hard to talk about Tourette’s without tears. Biscuit. But understanding that there was a creative value to them has been more powerful than I ever could’ve imagined. And my journey to that understanding came with a conversation I had with my friend Matthew, who described my Tourette’s as a crazy language-generating machine. Biscuit. And he told me that not doing something creative with it would be wasteful. And that idea took root. Biscuit. And helped me totally transform my thinking, and help me see and understand that rather than ignore my tics, and diminish the impact that they had on my life, there was something that I could talk about celebrate–biscuit–and find a superhero to work with and spread the message. And there’s not just one Touretteshero. I think there’s lots and lots of Touretteheros, and lots of people who have different powers that are using them in different ways. 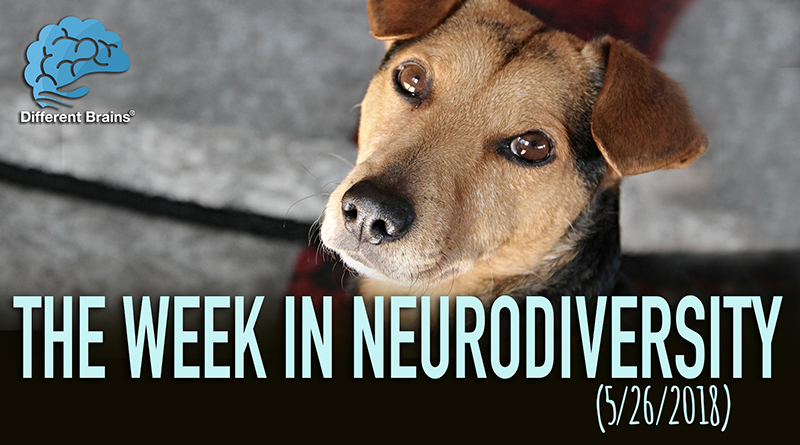 And I am really excited to be asked about neurodiverse movement. Biscuit, cats, biscuits, cats. HR: Well that’s super. Now, tell us about the first Touretteshero production, Backstage in Biscuit Land. Which debuted in 2014, won critical acclaim, and toured all over the world. JT: Biscuit, hedgehog, biscuit. So one of the things that we really believe at Touretteshero is that you could use art, to create change and to get people to think. And perhaps think about things that they might otherwise find difficult or to challenge stereotypes. And I had a really upsetting experience at the theatre–biscuit–several years ago when I was asked to move during the intermission because of the noises I was making. And that was in a performance where I had let the theater know, and i met the performer beforehand, and he’d explain to the whole audience that I had Tourette’s. But despite all that work, all that planning and all that thinking, I was still asked to move. And it was an incredibly humiliating and upsetting experience. And I felt–I cried, I sopped, as I separately from everybody else in the sound booth. And it made me feel like the theater wasn’t a space that I could access because it was damaging for me. It made me never want to go to the theater again. Biscuit. But rather than doing that, I was supported to see that there was a different way–biscuit. And instead, I found the only seat in the house I wouldn’t be asked to leave. On the stage–biscuit. And I recreated a show called Backstage in Biscuit Land–biscuit, which shares my journey with Tourette’s, which brings the surreal world of biscuit land, which is the world that Tourette’s creates around me to life. Biscuit. And most importantly, shares the idea that if you make art, and theatre inclusive, you make it better. You make it better art, you make it more interesting, you make it richer, and you make it more dynamic. Biscuit, hedgehog, cats. HR: You make it just another diversity, don’t you? Except it’s a diversity that comes, as do most diversities with some kind of gift. And so what you’ve done–like the chapters I write about in my Aspertools book–is you harness the strengths and you harness the gifts, and you harness the hyper interests, and you turn it into something positive and it helps other people. And it’s fun for you. JT: Yes, yes. And I think–biscuit–importantly for me what Touretteshero and performing has helped me do, and writing, because I write almost every day on a daily blog. What writing and performing has helped me do is develop the language and confidence to explain my experiences to other people and to ask for help when I need it. And to explain what tics feel like and what’s going on for me. And that ability to be open and to be honest and to have conversations and discussions with people has been transformative. And I have experienced amazing conversations as a result. And seeing people’s ideas and understanding what Tourette’s syndrome is or what it means to be a disabled person and disability. I’ve seen those ideas change in front of my eyes and I feel really privileged to have had those opportunities. But it comes through language and confidence. And I don’t think you’re ever too young to stop developing those skills. Biscuit. HR: Now do you and your friend Touretteshero have similar political views? I understand you just had a big snap election over there. JT: Yes, we had a big snap election yesterday. And with a result that has surprised lots of people but not me. Biscuit. Because I feel that there is a growing movement within the UK that recognizes that–biscuit–we need to create an equal and just society. We have to make sure we’re looking out for people and looking after people. And we’ve had a period in the UK where politics, particularly for people who have a particular impairment or condition has been really tough. Lot of people have lots of really important, equalizing skills have been undermined. I am able to work full-time, I’m able to make a contribution to my society, because I have the right support. Tourette’s is not the thing that disables me, but a lack of support, and a lack of access, and the wrong attitudes do. So for me, politics is an essential part of my life. Because it’s political decisions that will restrict my life and restrict the opportunities that I have access to. Biscuit. Biscuit. I’m a big fan of the way of thinking about disability called the social model of disability. Biscuit. And the social model of disability has had such a big impact on me, because it understands people aren’t disabled by their impairments. It’s normal to have bodies and minds that work differently. People are disabled by environments and attitudes and systems that don’t consider difference in how they’re set up. But the really exciting thing about that is that just by thinking about difference and thinking about different types of people, we can create less disabling spaces. Biscuit. Hedgehog. biscuit. Cats. HR: What projects are you currently working on. JT: I’m working on a really exciting new project. Which is very different from Backstage in Biscuit Land, but it’s another big theater production. And we are going to be doing a neurodiverse presentation of a short play by a playwright called Samuel Beckett. And Samuel Beckett wrote lots of play in the sort of 60’s and 70’s. And is a very well respected playwright. And he wrote a play called Not I. Which is about a disembodied mouth in a dark room doing a very fast monologue. And it’s a woman telling the story of her life. And it’s very clear to me from the text and what she says in her story, that she’s a neurodiverse character. She has these sudden our pouring of language that she cannot control. She largely doesn’t use spoken communication for most of her life. And so we are claiming the character of Mal as neurodiverse and understanding her experience from that perspective. So yeah, that’s another big theater project that we’re going to take from the Edinburgh Fringe this year. It’s exciting that all the shows that we’re going to make will be relaxed performances. And relaxed performances are performances that offer really warm welcomes to anybody, including people–biscuit–who might find the usual conventions of theater etiquette difficult to follow. So that could include people who make noises, like me. You have Tourette’s. People with dementia, people with a learning or intellectual disability, people with anxiety or autistic spectrum conditions. Relaxed performance’s a movement within British theater to create more inclusive cultural spaces. Biscuit. HR: How do people who want to know more about you and also your friend the Touretteshero, and you Jessica Thom, how do they find out more about you? JT: Well they can visit our website, Touretteshero.com, which has over 6,000 funny tics they can browse. It has a gallery of tic-inspired art. And it has over six years of writing about–a blog about Tourette’s and my experiences with the condition. There’s also ways to get involved with Touretteshero through that. You can also follow us on social media at–tic, biscuit, biscuit, biscuit–social media. I share a tic each day as my daily outburst on Facebook and twitter. So look out for #dailyoutburst for a real Tourette’s tic every day. Biscuit, cats. HR: Now I think I saw your TED Talk. Did you give a TED Talk, tell us about that. JT: I gave a TED Talk in 2013 at the Royal Albert Hall in London. And it was one of the most simultaneously thrilling and terrifying experiences of my life today. It was to 4,000 people in this incredibly vast space. Biscuit. And luckily, having Tourette’s, I don’t need to worry about vocal silences because if I forget my words–biscuit–there’s always biscuits. HR: Well I think you did very well in that talk. I enjoyed it immensely. Now is the Backstage in Biscuit Land still playing? JT: It’s going to be coming to Portland and Vermont in Spring 2018. So look out for us in Portland and Vermont in 2018. Biscuit. But we are mainly concentrating on other theatrical and creative projects at the moment. But I’m sure Biscuit Land will be back. HR: Jessica Thom, it’s been a pleasure speaking with you yet again. And we hope you’ll be in touch and we hope that you’ll be part of our Different Brains here, because you’re inspirational, you’re educational, you’re friends with the superhero Touretteshero, and you’ve taught us so much about Tourette’s and neurodiversity in general. You’re an inspiration, thank you so much!